I just ran across a web site called the Idea Lady. In this site, Cathy Stucker, aka the Idea Lady, has various articles about business, one of which is reprinted immediately below in its entirety. * Requires registration, which is free. Or try bugmenot. There are lots of ways to trim college costs. The basic expenses of college are tuition and books, room and board, clothing, and transportation. Finding ways to save in each of these categories is very simple. The difficult part is doing it. Here are a few ways to save. More to come. Share and/or borrow textbooks. Buy used if possible. But make sure you read them because if you don't, it will haunt you on your exams! Ride the bus rather than drive a car. Better yet, buy a bike and use it. Pick a college like UC Davis, where at any given time there are over 20,000 bikes on campus. Phones. Many dorm rooms have ethernet connections. If so, try VOIP like Vonage. At less than $25 per month ($17 for 500 minutes), this beats most cell phone plans. If VOIP is impossible, shop for cell phone service that suits your needs. Know that going over your allotted minutes can be very costly. Costco, Sam's Club, and other big box warehouses can be very wise. Get together with other students and split the cost on things like pencils, paper plates, soap, paper towels, toilet paper, etc. Be wise about how you spend your money here, though. Often times, supermarket prices are better than the warehouses. Watch your local papers! Compare. Avoid eating out. It's not only bad for your health, it's bad for your pocket book, which might be very thin (unlike you if you eat at Taco Bell too often) after a few months away from home. Buy cheap beer. You're gonna drink it anyway, so save some dough by buying less-than-premium beer. It gets you buzzed faster anyway. You can save a ton of money on clothes. DON'T BUY ANY. The crap they sell now looks like it's already been worn anyway, so take your already-worn clothes with you. DON'T GET A CREDIT CARD. Save your coins in a jar. They'll come in handy when the ATM stops working for you. Stay away from the ATM, especially those that charge you fees to get your own money. Open a free checking account. Washington Mutual offers a great free checking account and they're all over the place. Don't get designer checks. Get the free ones that come with the free checking account. Put a few dollars aside each month and watch your savings grow. Put it in a place like ING, Emigrants Direct, or HSBC (all online banks). They offer much higher rates than your local bank (all over 5% now vs. 1 - 3% at the typical bank) and they make it just a little difficult to get your money out. Laundry. Buy the cheap detergent. Don't use fabric softener. And for goshsakes, put your money in the machine and turn it on before you dump your detergent in. There's nothing that maddens me more than putting in soap, then my money, only to find out that the darned machine doesn't work. You'll never get your soap back. Speaking of laundry soap, use about half what's printed on the bottle. A little detergent goes a long way. Don't buy bottled water. If you're concerned about your tap water (and you should be), buy a Brita filter pitcher. Replace the filter once in a while and you'll come out way ahead. Here's a neat trick: Buy one case of bottled water and drink all of it. Keep the bottles. Fill them up with your own filtered water. The water you filter, I can almost guarantee you, is better than what you buy in the store. They "filter" it, too. It's not distilled. Keep your thermostat at 62-66 in the winter. 72-78 in the summer. You're young, you're healthy, you're resilient. Put on a sweater (in winter) or take off some clothes (in the summer, but not too much!). Many colleges give you free email and internet access. Take advantage of it. Cancel all subscriptions to magazines, ISPs, TiVo. You don't need 'em. Your parents don't need to keep paying for them. Go to the library to read. Buy frozen food (if you have a freezer). It's often cheaper, lasts longer, and makes for great ice packs when you get speared in that pickup rugby match. Make your parents proud while at the same time making them stress a little less. Show your sense of responsibility by making ends meet. If you think making ends meet in college is difficult, wait 'til you get out in "the real world." You ain't seen nothin' yet. Below is a link to a great article about how perspective sometimes distorts our good intentions where money is concerned. Inspired by a book, "Green with Envy: Why Keeping Up with the Joneses is Keeping Us in Debt," the article's author, yahoo! Finance columist Laura Rowley, goes on to tell the stories of several people in the book, who often attempt to keep up appearances that they have great wealth, only to learn later that they're buried in debt, many of whom eventually file for bankruptcy. While I haven't yet read the book, I plan to read it very soon. It sounds like a book worth reading about getting some perspective back and putting priorities on things that really matter to us. Below is a list of 101 ways to save money. The ironic thing is that the list was compiled by Northwest Airlines and handed out to the (former) employees the airline just fired. Now, I don't know about you, but this stunt really seems like it's rubbing some salt into some really fresh wounds. Nevertheless, is the list below a viable set of money-saving tips? Some tips seem sound, others not so sound, still others depend on context. What do I mean by context? Take Tip #1. First, context: Taken in winter, this tip seems mostly right. 60 is a bit chilly, but one could wear sweaters, right? But in the summer, this is downright frigid. Actually, one could turn the tables in summer. For example, in winter, you might keep your thermostat at 66 and turn it down to 62 at night. But in winter, you might want to set your thermostat at 78 and turn it up to 82 at night. The thinking is that you're asleep and won't notice the difference. The concept is to save money while sleeping. This means that you do whatever makes sense depending upon the season. In spring, it may not make any difference, since the temperature at night may not fall appreciably enough to make the thermostat/heating/cooling system do anything. Make sense? Now, take #46. Don’t be shy about pulling something you like out of the trash. Okay, besides being really unpalatable, how many people will be willing to do this? Living in the Bay Area (California), I see people poring through trash every day, looking for a bit of coffee, a piece of bread, a cigarette. But I'd have to get really desperate before I started looking through the trash to nourish myself. I mean really desperate. We'll be sure to revisit this list frequently. There are some good tips in here, many of which can form the basis of a sound money-hacking lifestyle. Also, many can be expanded upon with real money-hacking modifications, such as switching to VOIP (like Vonage or Skype) to save money on phone service. 36. Buy 'no frills' vitamins. Site where I found the list. "Do this, don't do that, can't you read the sign?" That's how I feel about fees. They are everywhere! You cannot go anywhere without being confronted with a fee. ATM fees, bank service charges, hotel and airport "taxes," postage fees, bridge tolls, you name it, there's a fee. However, fees differ in one fundamental way: Some you have to pay and some you don't. In order to cross the Golden Gate bridge by car, you have to pay the toll (or, if you don't, you have to pay a fine, which is another term for a really expensive fee). To take the Jersey Turnpike, pay a fee. However, having a bank account does not require you to pay a fee. Banks don't want you to know this, of course, but you don't have to pay monthly fees for checking or savings, you don't have to pay per check, you don't have to pay ATM fees. The list goes on and on. There are a few banks out there that make a mockery of fees: Washington Mutual has stirred the banking pot in the past by making fun of old stodgy bankers who work for banks that nickel and dime its customers with ridiculous and unnecessary fees. Remember, the bank has YOUR money! When you deposit YOUR money in their bank, they take YOUR money and lend it out to others at a higher interest rate than they offered you. They are making money off YOUR money. The fees are simply gravy. But as we all know, the best part about mashed potatoes is the gravy. Did I just say that banks offer mashed potatoes for service? Not literally, but I think that's a good metaphor. They take something (YOUR money), mash it up, and give it to others in the form of a loan. They then prey off your gullibility, laziness, or short-sightedness by charging you fees to get, you guessed it, YOUR own money. Banking certainly is not rocket science. It's pretty simple: Take in deposits, give 0 to a small interest rate, and give loans to qualified people (read: people who will pay back the principle, with interest) at a higher rate. Somebody once said that man's greatest invention was compound interest. Man's second greatest invention might be bank fees. So here's what you do: Find a bank that doesn't charge fees, or at the very least one that doesn't charge fees for things you might use frequently. I can understand a bank charging a small fee for wiring money or safe deposit boxes, but they should be ashamed of themselves for charging fees to use their ATMs or for "maintenance." Once you find a bank whose fees (hopefully, lack thereof) you can stomach, don't, I repeat, DON"T, fall into their trap where you're obligated to pay a fee. For example, many banks offer "overdraft protection." Sounds great on the surface. After all, if you bounce a check, your fees to pay the merchant you stiffed (probably unintentionally) may be a lot higher than your bank would charge you. There are two general ways a bank offers this protection: One way is through linking your checking account with a savings account. When you don't have enough funds to cover a check that you have written, the bank draws money out of your savings account plus a small fee. The other way, much more insidious, is through linking your checking account with a line of credit. Again, when you don't have enough funds to cover a check you have written, the bank accesses your line of credit, draws money from it to cover the check, plus a fee. Then, if you don't pay off that balance on your line of credit, they continue to charge you interest on the balance. So not only do you get hit with a one-time fee, but you also get hit with a perennial interest charge to boot! The bottom line is: Don't bounce checks. Gone are the days when you could "float" a check (writing a check against an account you know doesn't have enough funds to cover the check with the knowledge that money will be deposited into that account before the bank clears) -- so don't even try. Most checks nowadays don't even physically move from your merchant to his bank back to your bank and then finally back to you. Nope. It's an electronic exchange between your merchant's bank and your bank, where only the check image is transferred, electronically (as well as the funds). If you do bounce a check, there's a very good possibility that you could talk to a bank service representative and have the fee reversed. That's assuming you haven't bounce many (any?) checks there in the past. Moral #1: Don't bounce checks. Find institutions that are reasonable with their fees. Online banks like ING Direct offer great interest rates on deposits, reasonable transfer times between them and your checking account, and ZERO fees. David Bach, author of Automatic Millionaire, points out some novel ways to save money on vacation. It's not what you think. Take a look and you may just like what you see. Budgeting: Good idea or devil in disguise? Can you pick stocks better than the pros? All this, and more, as they say on TV. How much would you pay for all this? But wait, there's more! Stay tuned. Let's start with the basics for a sound financial "plan" (plan is in quotes because neither this post nor this site has any hope of addressing a proper financial plan -- as done by a professional). First and foremost, earn more than you spend. Ideally, you would set some money aside each month for a rainy day fund, a retirement fund, a college fund (if you have children or one day think you might), and a maintenance fund (fridge goes on the blink, car refuses to start, bathroom sink springs a leak, etc.). It can be small amounts, either in percentages or in dollar terms, but still, set some money aside. Put 10% of your gross income in a retirement account of some sort, preferably in a mutual fund family like Vanguard, Fidelity, or T. Rowe Price (many from which to choose). Have funds available to you equal to 6 months worth of income. Most professionals will tell you to have 6 months worth of income available as liquid cash (i.e., a bank account or money market mutual fund). Some of the more practical professionals will tell you "liquid funds," which could mean a credit card. This is how I operate. Now, I do have some money socked away in a savings account, but it certainly isn't equal to 6 months of my income. However, I have way more available credit than that, and I don't ever expect to have to use it. It's there for a rainy day. So, to recap: 10% in a retirement vehicle and have access to the equivalent 6 months of income. If you don't do or have either of these, don't do anything else until you do. The reason you pay your bills every month and conveniently neglect to save anything is because you put a priority on paying your bills. Change your thinking: Put a priority on paying yourself first. Check out (from the library! -- money-saving tip alert) David Bach's excellent book, Automatic Millionaire for great tips on finding ways to do this by automation. This is my maiden post on the Money Hacks blog. I welcome you, my readers, to my personal finance site, where, together, we find, explore, try, and buy various money tips and tricks (or hacks). I want this to be an interactive and iterative journey, where you glean as much from me as I do you (perhaps even a little more). The goal here is getting your financial self in shape. The persistent conflict most of us have is spending money versus earning money. Oftentimes, we earn money only to have spent it last month. Of course, only our government can perennially run in the red. It is up to each of us to find ways to run in the black. Since most of us work "regular Joe" jobs, we cannot really expect to get 10-20 percent raises each year. More likely, we get 2-3 percent, if anything. It's difficult to earn more than we spend under these circumstances, especially with interest rates on the rise, gas prices undergoing serious increases, and energy costs going through the roof. So, the focus of Money Hacks is to learn how to save money -- i.e., spend less than you earn. It isn't just about being cheap. I know as well as you that there are certain things that you're just going to buy, no matter what. For some, it's our morning coffee. For others, it's iTunes downloads or that iPod you've had your eyes on. So, frugality is a part of this, but like dieting, everything must come in moderation. Once in a while, treat yourself. Now, treating oneself is where we can learn to save money by spending money. There are scores of shopping sites online that can help us ferret out the best deals on those things "we just gotta have." But in other respects, saving is simple: Spend less than you earn. That's what this site is about. Occasionally, I will discuss things a little off the topic of saving, but in the realm of personal finance or investing. I hope you will indulge me. Together, we might learn something. I sincerely look forward to making many posts, interacting with you, and learning together something neither of us knew until we met. I would like to give you a preview of my first several posts, but I am so busy with this site and a couple others that I simply haven't had time to put much thought into the first posts. My suggestion, at first, is to become familiar with the Links to the right as well as with the Books also on the right. These are the primary sources from which I will find those sparks that lead to relevant posts. So, please, enjoy and come back often. Make sure you add this site to your RSS feeds and to your bookmarks. Money Hacks has a varied audience of interested readers and buyers, from people looking for information on investing products and services, to debt management and elimination, to economic news, theory, and opinion (with a heavy emphasis here). Our readers range from folks in deep debt to "barely making it" to wildly successful. Here's the Quick & Dirty Lowdown: Text ads, $12 per month or $100 per year. 125x125 banners, $25 per month or $200 per year. No rotation. Top of fold on "home page." Other arrangements can be made. This is a self-sustaining site, in terms of "paying the bills." Therefore, we rely upon advertising to defray the costs of running the site. If you would like to advertise to a diverse group of viewers, send an email to billspaced@money-hacks.com. 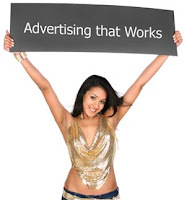 We'll work with you to arrange a mutually beneficial advertising arrangement. CAUTION: We take our readers and their preferences seriously (despite the image to the right!). We don't do obnoxious ads! If you want to make a quick sale or spam a bunch of people with stuff they don't want, this is not the place to advertise; go somewhere else -- there are plenty of sites wanting to make a quick buck. Here's the deal: We will advertise products and services that our readers want. We're open to new ideas, but you may have to be very persuasive. While I do have over 20 years of business experience which runs the gamut of managing retail stores, advising small business owners, being the CEO and CFO of my own incorporated company, holding Economics and MBA degrees, I am not a registered financial adviser. It is my humble opinion that the information, commentary, and opinion that makes up the pages of this site is sound, accurate, and credible. However, in no way is any of it to be construed as financial advice. It is opinion. My name is Bill and I have been collecting money hacks since 1966. After getting my degree in Economics, I entered adulthood, out on my own for the very first time. I got a job, an apartment, and a car, racked up some debt, and paid it down. Living in the now didn't really prepare me for what was to come: My Future. Fast forward 20 years and I find myself with a mortgage, 3 cars, two kids, what I consider to be a well-paying job, and I can barely make ends meet. Thus, my entry into finding ways to save, invest, and earn money. I hope to bring you unique, relevant, and useful information. Feel free to contact me at billspaced@money-hacks.com or on Twitter with suggestions for improving the site, questions, tips, tricks, or money hacks you've discovered, or anything else that comes to mind on the topic that concerns us all: MONEY. After all, money does make the world go 'round.